Food handling safety risks are more common than most people think. 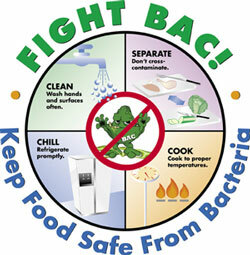 1 in 6 Americans will get a foodborne illness this year! WSU Extension of Benton & Franklin Counties is committed to educating the public of safe food handling practices and providing consumers with resources to help their families stay healthy. Wash hands, utensils, and surfaces often. 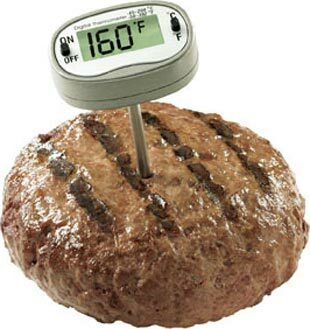 A food thermometer should be used when cooking ground meat patties, meatloaf, beef, veal, lamb, pork, ham, chicken and turkey. Using a food thermometer is the ONLY way to ensure your food is cooked to a safe temperature. Raw meat may contain harmful bacteria. These bacteria are killed when meat is cooked to the proper temperature. Many people rely on the internal color to check the doneness, but research has shown that color is NOT a good indicator of doneness. Unless you use a thermometer, it is very easy to overcook meat. Overcooked meat is tough and dry. Cooking Whole Cuts of Pork: USDA has lowered the recommended safe cooking temperature for whole cuts of pork from 160ºF to 145ºF with the addition of a three-minute rest time. Cook pork, roasts and chops to 145ºF as measured with a food thermometer before removing meat from the heat source, with a three-minute rest time before carving or consuming. This will result in a product that is both safe and at it’s best quality – juicy and tender. Cooking Whole Cuts of Other Meats: For beef, veal, and lamb cuts, the safe temperature remains unchanged at 145ºF, but the department has added a three-minute rest time as part of its cooking recommendations. What Cooking Temperatures Didn’t Change? Ground Meats: This changed does not apply to GROUND meats, including beef, veal, lamb and pork, which should be cooked to 160ºF and do not require a rest time. Poultry: The safe cooking temperature for all poultry products, including ground chicken and turkey, stays the same at 165ºF. “Rest Time” is the amount of time the product remains at the final temperature, after it has been removed from the grill, oven or other heat source. During the three minutes after meat is removed from the heat source, its temperature remains constant or continues to rise, which destroys harmful bacteria. Why Did the Recommendation Change? It’s just as safe to cook cuts of pork to 145ºF with a three-minute rest time as it is to cook them to 160ºF, the previously recommended temperature, with no rest time. The new cooking recommendations reflect the same standards that the agency uses for cooked meat products produced in federally inspected meat establishments, which rely on the rest time of three minutes to achieve a safe product. Having a single time and temperature combination for all meat will help consumers remember the temperature at which they can be sure the meat is safe to eat. How Do You Use a Food Thermometer? Place the food thermometer in the thickest part of the food. It should not touch bone, fat, or gristle. Start checking the temperature toward the end of cooking, but before you expect it to be done. Be sure to clean your food thermometer with hot soapy water before and after each use. Visit Thermy’s website to learn more about the use of food thermometers to keep you family safe. The Partnership for Food Safety Education encourages consumers to be aware of food recalls and what to do if you have a recalled food product. Where Do You Find Out About Food Recalls? 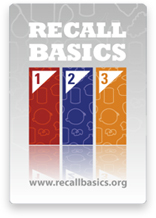 Visit FoodSafety.gov for a current list of food recalls. You can also sign up to get automatic alerts via email or download the Recalls.gov mobile app. Some WSU Extension websites provide links to external sites for the convenience of users. They may also provide page space to their county partners, county pest and disease boards and noxious weed control boards, that work with WSU Extension to help protect agricultural producers from damaging insects, plant diseases and noxious weeds. These external sites and pages are not managed by WSU Extension. Furthermore, WSU Extension does not review, control or take responsibility for the content of these sites, nor do these sites implicitly or explicitly represent official positions, policies or recommendations of WSU Extension. Remembering the rules about food safety when the power is out and during an emergency is difficult. Learn how to avoid food-related illness from our own Regional Food & Nutrition Specialist, Lizann Powers-Hammond. 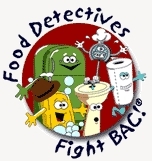 Take the Partnership for Food Safety Education Food Safe Families Action Pledge! 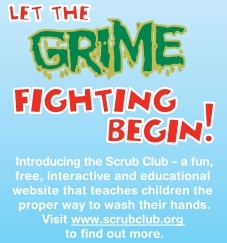 Fun, free, interactive and educational websites for kids to learn how to fight BAC.